What is the real difference between online and over the board chess? Well, the main difference is that in online chess you cannot see your opponent and he/she cannot see you. It may be an advantage for many players since they don’t get frustrated or disrupted by non-chess related factors. However, for some players it may be exactly the opposite, how many of you really take online chess seriously and don’t browse other internet pages, while your opponent takes too much time to respond? The point I’m trying to make is simple, most people don’t take online chess as serious as the take over the board chess. I believe, only players that do take online chess very seriously, are those who don’t play real over the board chess. 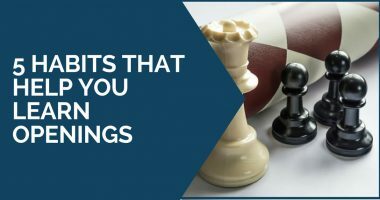 Players that do play OTB treat online chess as something for fun and something to try new things on, practice openings and try things they normally cannot get away with in real OTB games. Standard time control for online chess games is 15 minutes at most. Many people play 5 minute blitz or even 1 minute bullet. If you want to be successful in 15 minute online chess or 5 minute blitz you need to be able to play decent moves at a fast rate, since many of the games are being decided by time. Time is a big deal in online chess. Learn to manage time well and you will win more games than you ever expected. The trick in quick chess is not to spend a lot of time analyzing the position and coming up with the best possible continuation, but playing semi-good moves at the quick rate. Playing games that offer a delay (which delays your clock by few seconds) or increment (which adds a few seconds to your clock) is a good idea. Since we talked about the importance of time in online chess, we should mention a simple technique that can help you save some precious seconds when you the most need them. It’s called pre-move. What it means that you can tell the program what piece to move after your opponent makes his move. For example after a capture you might know that your opponent will capture back and you will recapture his piece. You can pre-move the last recapture and save time. Thanks for the comment, I also like FICS since it’s free and nice. Great feedback, I’m sure readers will find it very helpful.